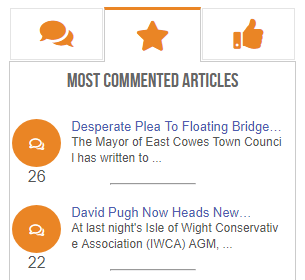 Having pioneered Readers’ comments on Isle of Wight news stories 10+ years ago, OnTheWight now launches a new feature so you can find which articles are attracting the most comments and which comments are getting the greatest reaction. 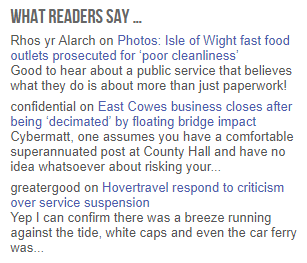 OnTheWight is constantly thinking about how we can make our Trusted news publication better for you, our readers. 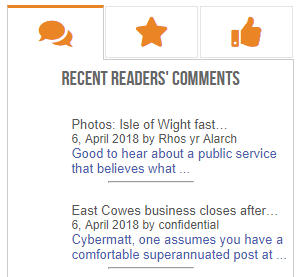 We’ve been working on a new upgrade for the Readers’ commenting section – as we know how popular these are. 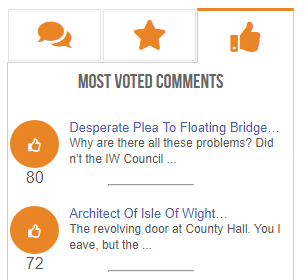 Amazingly it’s over ten years since OnTheWight (then VB) introduced the Isle of Wight to the concept/idea of commenting directly on news stories, later (2007) bringing those Readers’ comments to the front page (we have just short of 159,000 readers’ comments). 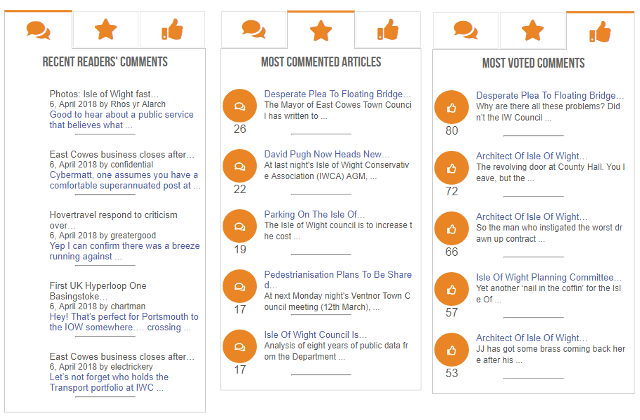 About six months back (October 2017) we provided a major update to the OnTheWight commenting system, which included reintroducing Voting on comments. Today we release a way for readers to visit the Homepage and get a wider overview on Readers’ comments, which articles are attracting the most comments and which comments are receiving the most votes. Sitting in the right-hand column, it’s got three tabs across that top and these can show you three different types of info (without the page having to reload). 3 Comments on "More ways for you to interact with Readers’ comments"
Hey this is blatant discrimination,as of this reply I have only got -6 but iowdave has -8…I was hoping for double digit negatives by now! Come on red thumb clickers you are losing your touch! Totally agree. I feel, also. that votes should be justified with a comment. I am sure that votes are cast maliciously.